sassy and happy rememded me so much of a mermasaurs, she inspired me to do something I’ve not done before and asked if I could Mermasaur her. Which felt odd, a little bit vulnerable. Asking a total stranger if you can recreate their image in your style. Do check out the project. The photographer the drives it incredibly companionate, it really comes across in how they capture moments in collaboration with people and Thier stories. I love behind the scars, some brave folk, their stories are always so interesting and powerful. 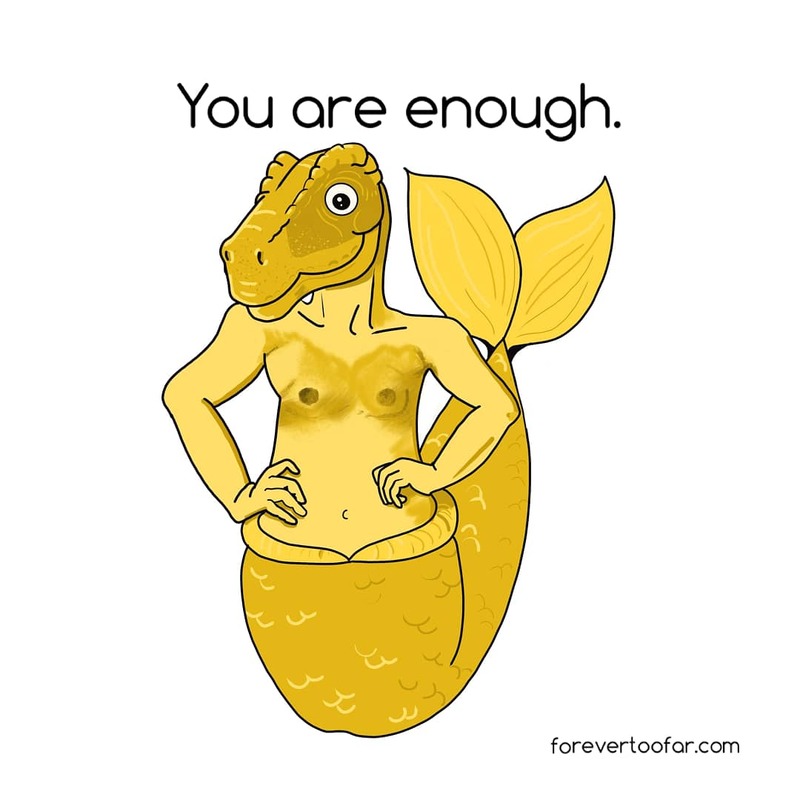 ID- a yellow figure, a merperson with a Trex head. Hands upopon hips, burns scared chest bared with a mischievous and knowing smile. Text reads, you are enough.